The University of New Haven, founded on the Yale campus in 1920, is a private, coeducational university situated on the coast of southern New England. 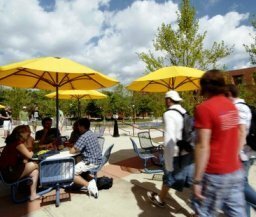 It's a diverse and vibrant community of more than 6,800 students with campuses around the country and around the world. Within its five colleges, students immerse themselves in a transformative, career-focused education across the liberal arts and sciences, fine arts, business, engineering, public safety and public service. More than 100 academic programs are offered, all grounded in a long-standing commitment to collaborative, interdisciplinary, project-based learning. 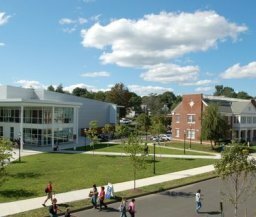 At the University of New Haven, the experience of learning is both personal and pragmatic, guided by a distinguished faculty who care deeply about individual student success. As leaders in their fields, faculty provide the inspiration and recognition needed for students to fulfill their potential and succeed at whatever they choose to do. The University of New Haven has an Early Decision and Early Action admissions policy; we begin to review applications on September 1st and continue until programs are filled. The university offers one binding and three non-binding admission programs for fall admission. To be considered for certain programs applicants must follow the established timelines and important dates. Early Decision Applications are due by December 1, Early Action applications are due by December 15, Early Action II applications are due by February 15, Regular Decision applications are due after December 15 with a priority deadline of March 1, and Spring Admission Applications are due no later than January 15. Students may apply using the Common Application. To be considered for admission, candidates must complete the application and submit it along with a non-refundable $50 application fee. An application is considered complete once we receive the application, personal essay (250-600 words), transcript(s), standardized test scores (SAT or ACT), and one letter of recommendation (from an academic source). The University of New Haven mixes traditional degrees along with many unique programs across five academic colleges. 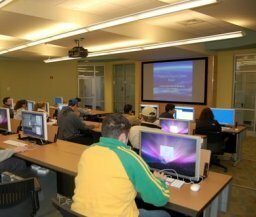 The university also offers more than 60 graduate programs and certificates. The College of Arts and Sciences offers traditional majors such as Art, Biology, Communication, English, History, Mathematics, Psychology, and Political Science as well as unique majors in the areas of Dental Hygiene, Environmental Science, Genetics & Biotechnology, Forensic Psychology, Health Sciences, Global Studies, Graphic Design, Digital Art and Design, Interior Design, Design–Pre-Architecture, Legal Studies, Marine Biology, Marine Affairs, Music, Music Industry, Music & Sound Recording, Nutrition & Dietetics, and Theater Arts. The university also offers minors in languages such as Arabic, Chinese, Italian, Russian, and Spanish. The College of Business offers degrees in Business Management, Accounting, Economics, Finance, International Business, Marketing, Sport Management, Health Sciences, and Hospitality and Tourism Management with concentrations in Hotel & Resort Management, Foodservice Management, and Event & Tourism Management. The College offers students an accelerated degree program making it possible to complete a three-year bachelor's degree and the option to tack on a one-year master's degree. The Tagliatela College of Engineering offers degrees in Chemistry, General Engineering, Chemical Engineering, Civil Engineering, Computer Engineering, Electrical Engineering, Industrial and Systems Engineering, Mechanical Engineering, Computer Science, and Cybersecurity and Networks. The Henry C. Lee College of Criminal Justice and Forensic Sciences offers degrees in Criminal Justice, Forensic Science, Fire Science, Paramedicine and National Security. The university offers separate Criminal Justice concentrations in Investigative Services, Crime Analysis, Police Science, Correctional Rehabilitation and Supervision, Crime Victim Services, and Juvenile Justice and Delinquency Prevention. The Henry C. Lee College of Criminal Justice and Forensic Sciences also contains two distinct degrees in the area of Fire Science Arson Investigation and Fire Science Administration. The Lyme Academy College of Fine Arts is located in Old Lyme, Connecticut. 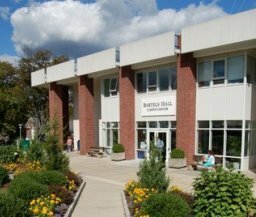 Lyme College offers four BFA degrees in Drawing, Illustration, Painting, and Sculpture, plus a minor in Art History. AACSB (The Association to Advance Collegiate Schools of Business) accredits six of our undergraduate business degree programs: Accounting, Business Management, Finance, International Business, Marketing, and Sport Management. FEPAC (Forensic Science Education Programs Accreditation Commission) accredits our Forensic Science program. ABA (American Bar Association) approves our undergraduate degree in Legal Studies, one of only a few such programs at the undergraduate level in the entire country. ABET (Accreditation Board of Engineering and Technology) accredits six of our undergraduate academic degree programs in the Tagliatela College of Engineering: Civil Engineering, Chemical Engineering, Computer Engineering, Computer Science, Electrical Engineering, and Mechanical Engineering. ACEND (Accreditation Council for Education in Nutrition and Dietetics) of the American Academy of Nutrition and Dietetics accredits our very popular undergraduate degree in Nutrition and Dietetics, leading many of our students to become Registered Dietitians (R.D.). The university also has a dietetic internship program designed to fulfil ACEND-required competencies. ACS (American Chemical Society) accredits our Chemistry program. FEPAC (Forensic Science Education Programs Accreditation Commission) accredits our nationally renowned Forensic Science program. Only a select number of programs have earned this level of distinction through the American Academy of Forensic Science (A.A.F.S.). ADA (American Dental Association) accredits our Dental Hygiene program. NASAD (National Association of Schools of Art and Design) accredits our BFA programs in Drawing, Painting, Illustration, and Sculpture at the Lyme Academy College of Fine Arts as well as the University's BA program in Art and BFA programs in graphic design, digital art and design, and interior design. 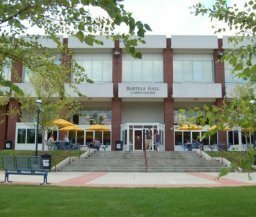 The Marvin K. Peterson Library offers over 240,000 volumes, 1,400 print journal and newspaper subscriptions, and electronic access to over 19,000 full-text journal and newspaper titles, approximately 550,000 pieces of microfiche, 12,000 volumes of microfilm, e-books, 33,000 e-journals and 162,000 paper U.S. Government documents. 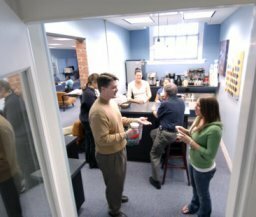 Students have 24/7 access to popular research databases, and can take a break from their studies in the library's lounge area and coffee shop. Fire Prevention and Safety Technology/Technician. The “down to earth” professors “are amazing and want to help in any way they can,” and “most of them are accessible outside of the classroom either by their office hours or by appointment.” They are “open to feedback from students” and work to create a suitable learning environment tailored to each student, truly believing that “their main purpose is to help us be ready for our future and to prepare us to become leaders.” Teachers here are both very knowledgeable in the textbook material as well as the real world applications, and “take material from the classroom and show how to use after college.” Hands-on learning is a requirement, students must either have an internship, study abroad, or complete independent study to gain experience in their fields in order to graduate. Cost for the 2018-2019 Academic year is: Tuition & Fees –$39,270 and Room & Board –$16,520. Students are automatically considered for merit-based academic scholarships by simply applying for full-time admission to the University of New Haven. Merit-based scholarships range from $10,000 to $24,000 per academic year for students who qualify. To file for need-based aid, students must fill out the Free Application for Federal Student Aid (FAFSA), which is available online at http://fafsa.gov. The priority deadline to file FAFSA is March 1 for the fall semester and December 1 for the spring semester. The Undergraduate Student Government Association (USGA) oversees all aspects of undergraduate life, organizing campus social and cultural activities, supporting the student-run radio station and student-produced publications, and overseeing the budget for all undergraduate organizations. There are more than 170 campus clubs and organizations, including chapters of several professional societies, religious groups, social clubs, student councils, cultural clubs, and national fraternities and sororities. The University of New Haven opened its satellite campus in Prato, Italy (Tuscany Region) in the fall of 2012. 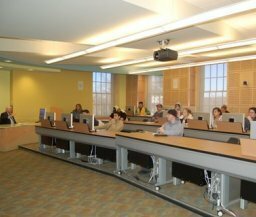 The course offerings at the Tuscany campus change from semester to semester. Students can take a total of 15 credits (5 courses) during the semester including one mandatory Italian language course. Each semester the university sends full-time faculty to teach courses alongside Italian faculty. Students can study abroad at our Prato, Italy campus as early as first-semester freshman year. The University of New Haven is also a leading provider of study abroad education, offering students over 300 options worldwide. We also offer an intensive study abroad program which offers 2-week abroad sessions with a University of New Haven faculty member during intersession for six credits at a number of locations such as London, Dubai, Rome and more. As a member of the Northeast 10 Conference, the University of New Haven competes in 17 Division II varsity sports (7 men's and 10 women's) baseball, basketball, cross-country, field hockey, football, lacrosse, soccer, softball, tennis, track, and volleyball. The university also has a number of club sports, which compete at the intercollegiate level including: baseball, cheerleading, equestrian, field hockey, gymnastics, ice hockey, lacrosse (men's), rugby (men's and women's), soccer (men's), tennis, volleyball (men's) and wrestling. 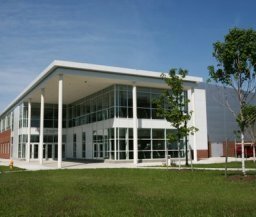 The 58,000-square-foot David A. Beckerman Recreation Center adds another dimension to athletic opportunities at the University of New Haven. It features a fitness center with aerobic equipment, weights, and televisions; multi-purpose rooms for yoga, aerobics, Pilates, spinning, and other wellness activities; two basketball/volleyball courts; a multi-sport court for in-line skating, floor hockey, indoor soccer, and other activities; an elevated indoor running track; and lounge areas including a juice bar/café. 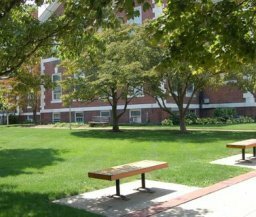 The university has 13 on-campus and six off-campus housing options which offer a variety for students to choose from ranging from a traditional residence hall to apartment-style housing with suites of two or more bedrooms. 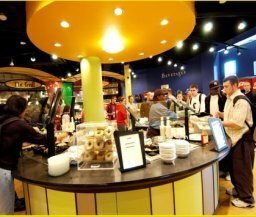 In 2005, the university started a Living Learning Community (LLC) program where students enhance their overall living experience by combining academic and personal interests through field trips, guest lectures, unique and individualized academic support, and service-learning projects. A number of LLCs are offered each year. Some popular examples include Forensic Science, Engineering, Marine Biology, Honors, and ROTC. The University of New Haven is located in suburban West Haven, Connecticut. 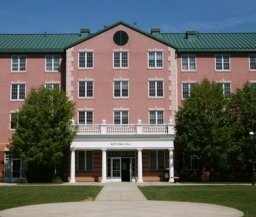 The campus is conveniently situated 75 miles from New York City and 135 miles from Boston. 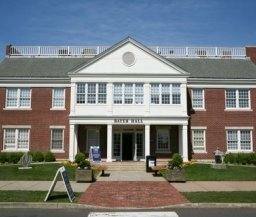 Only minutes away from the beautiful beaches along Long Island Sound, the university offers a shuttle to downtown New Haven and other local areas including two nearby train stations. Over $200 million has been invested in facilities and academic programs at the University in just the past few years. Some of these include a freshman residence hall (Westside Hall) and new student dining area (Food on Demand), the 58,000 square-foot David A. Beckerman Recreation Center, the $48-million Celentano Residence Hall with apartment-style housing for upperclassmen, Ralph A. DellaCamera Stadium featuring our Blue & Gold turf field, and a STEM-based magnet high school on the University's campus. 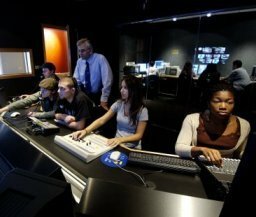 Standout academic facilities feature the Henry C. Lee Institute of Forensic Science, National Crime Scene Training & Technology Center, Cyber Forensics Research and Education Lab, Laurel Vlock Center for Convergent Media, Samuel Bergami Learning Center for Finance & Technology, TV and Film Production Studio, Digital and Analog Recording Studios, MIDI and Sound Synthesis Lab, Engineering Makerspace, Dental Center, and Hazel Nut Café (student-run coffee shop), Up-and-coming additions to campus include the Center for Marine Sciences right on the water in the greater New Haven area, a college village within walking distance to campus adding new commercial and residential properties, and a new academic building featuring state-of-the-art facilities for hands-on learning. 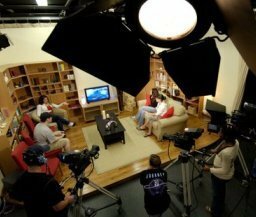 Lyme Academy College, our fine arts campus, boasts 10 large studio spaces and dedicated studios for seniors. Shuttle bus running to popular locations.